In the work that I do, I believe strongly in the importance of going to where people are rather then expecting individuals to come to you. When you are charged with engaging residents and to ensure their voices are heard on decisions that impact them, it’s not enough to simply sit back and expect that all those who should be heard will simply show up without invitation and regardless of barriers and constraints. One way we’ve done this is taken our show on the road. 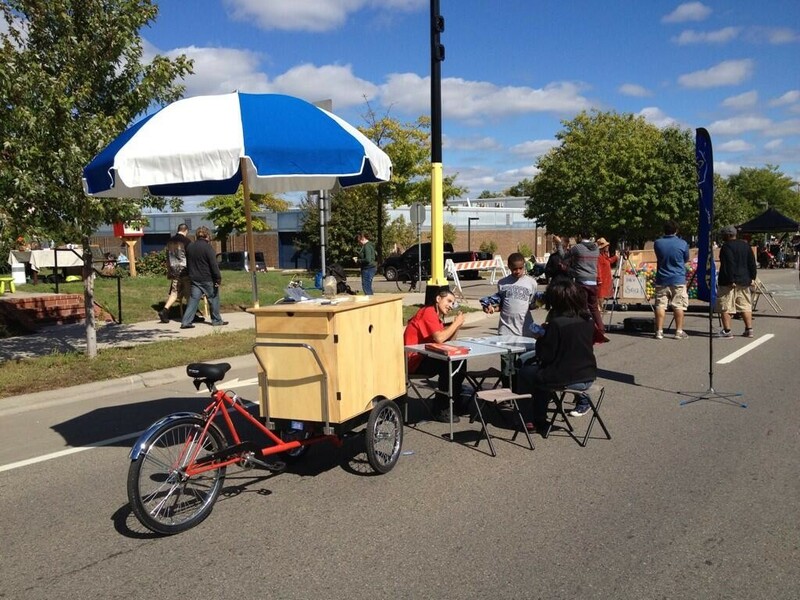 Our Neighborhood Engagement Cart is mobile and has everything you need to host a block party, dance party, card game or community meeting right on your block. This cart was made possible by the awesome design work of Works Progress and Daniel Dean.